Sophia Spyropoulou and her family. Hundreds of new Greek Australians will be officially welcomed to Australia as they are granted Australian Citizenship at ceremonies across the country on Saturday, 26 January. 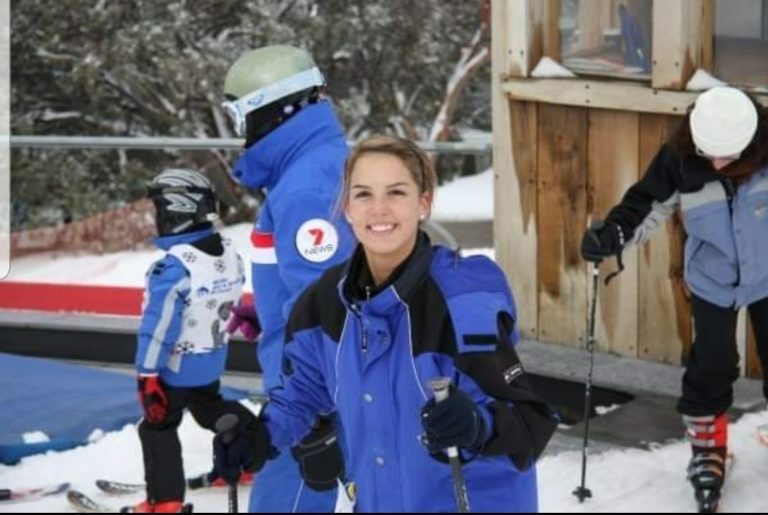 Sofia Spyropoulou, a new Australian citizen said upon arriving in Australia in 2011 for her honeymoon she simply said “wow” as Australia was vastly different to her home in Kastoria, Northern Greece. “Look at these big buildings, how many people are around, how many cultures there are. It’s such a multicultural country,” Ms Spyropoulou said. 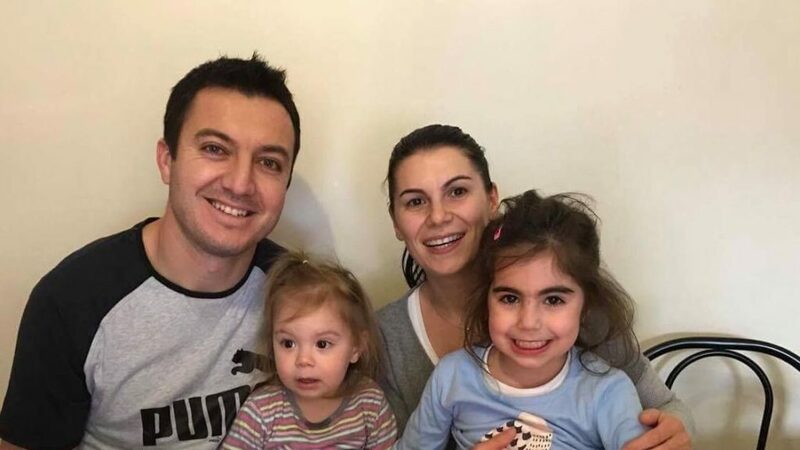 While her husband, Greek Australian Nikolaos Kalafatis remained in Australia she travelled between Australia and Greece but found there was a strain on them and their young children, Anastasia, aged 6 and Efsevia, aged 3. When she was eligible, Ms Spyropoulou applied for her Australian citizenship. “I read the book about three to four times and then I started doing practice tests online which I did every night. Sometimes I passed, sometimes I didn’t,” the Oakleigh woman said. Ms Spyropoulou achieved a near perfect score of 99 per cent with only one incorrect question. But she said it’s difficult to answer whether she feels like an Australian now. Sofia Spyropoulou feels happy to have two homes now. Eleni Moraki from Elefsina, northwest of Athens, also feels the duality. “I could say that Australia is now my country but I can also say that I have two countries: one in Greece and one here,” she said. 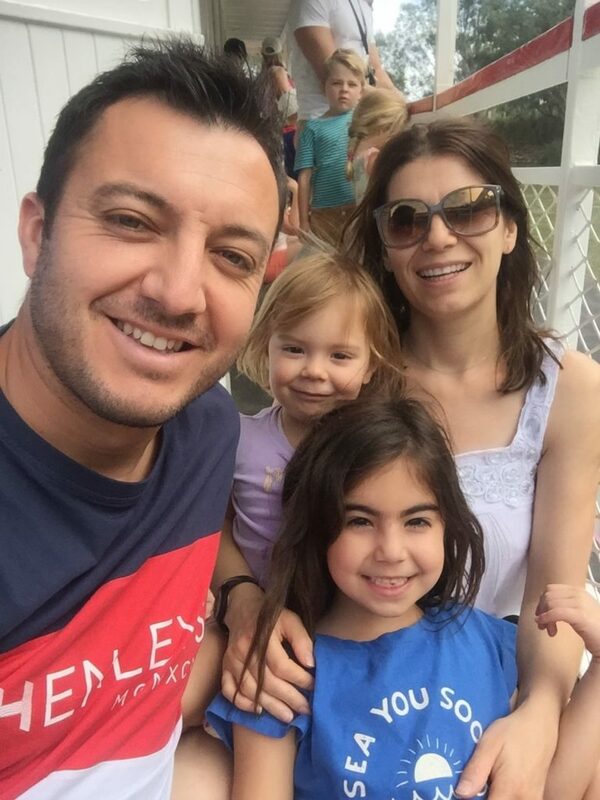 Ms Moraki came to Australia in 2011 with her kids, George, Vikki and Angelo arriving to a home that her husband, Alexandros Tsakouridis a Greek Australian, had already set up after arriving several months earlier. But the biggest difference for Ms Moraki was simply, Australia. 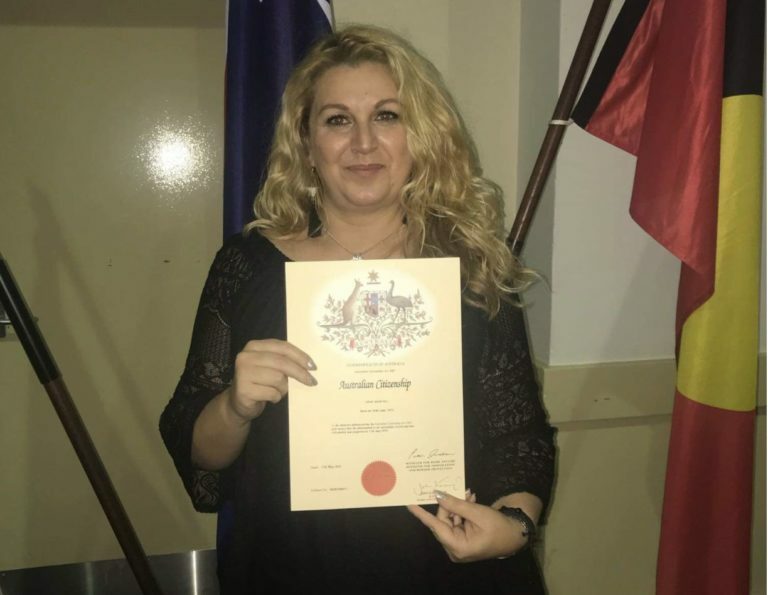 Eleni Moraki is glad to be a new Australian citizen. “The system in general: the politics, the economy, the public. It was pleasantly surprising even now because these were the things that we struggle for and dreamed of in Greece for so many years and we didn’t have the basic things that a person needs,” she said. While minimal, 135 Greeks acquired citizenship via conferral in 2018-2019 (31 December) according to data obtained from a request for more information to the Department of Home Affairs. However in the last five years, those numbers have generally averaged 180 Greeks. But Peter Michalopoulos, Director at Ethos Migration says he is seeing a rise in the number of Greeks applying for Citizenship due to the government’s pending changes to legislation of residency requirements. “In addition, the government is looking at introducing an English test which can be concerning to some people as well,” Mr Michalopoulos said. As a piece of general advice, Mr Michalopoulos said he would encourage Greeks who are permanent residents in Australia to obtain citizenship as it appears it will become more difficult in the future. There are also more safeguards and protections with Australian citizenship. Evangelia Spyropoulou decided to apply for citizenship in 2017 after her lawyer advised her that she could. “I knew I would to live here for years to come and I knew that it was becoming more difficult and complex for people in similar situations as mine to apply so we decided to do it,” Ms Spyropoulou who has lived in Melbourne for 13 years, said. While some of her family lives in Bali for business, Ms Spyropoulou said her life is set in Australia. Evangelia Spyropoulou has been in Australia for the last 13 years.